The reason more than 80 percent of New York City dwellers voted against Donald Trump was because we knew him—his history of pathological lying, his grandiose credit-taking for things he had nothing to do with, his cheating almost everybody who worked for him, his serial misogyny and complete lack of scruples. Mayor Mike Bloomberg said it straight at the Democratic National Convention: "I'm a New Yorker and I know a con when I see one." For people who liked Trump, his charm had to do with the fact that he was an unapologetic con artist who laughed at his own antics (for an example of the old Trump charm and humor at his own expense, listen to the Howard Stern interview about how he reacted to someone else's trauma). The mistake New Yorkers made was thinking that of course everybody could see the act. I certainly saw it, but I was also so clobbered by the Recession that I saw the rage, desperation, and racism that was throbbing in our culture, and I was terrified that, with his P.T. Barnum instincts, Trump would trump his own plan (to lose) by having the con succeed. 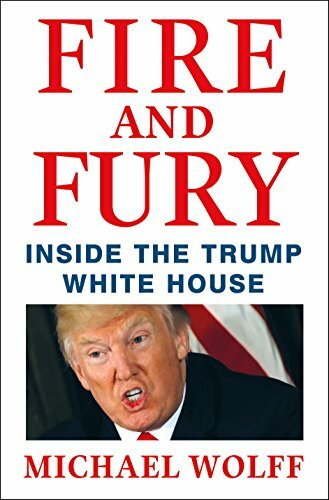 Wolff delineates the shock of the turnaround, obliterating the game plan to "win by losing" and become the most famous person in the world, making more money.